iOS 11.4 with a pack of cool new features is coming soon. It's believed that it will solve the battery and performance issues. This enticed a wide move that led to many upgrading to this iOS 11.4. However, it’s not all good news as reports have indicated iPad and iPhone batteries draining too fast after the iOS 11.4 update. As Apple promised, the iOS 11.4 adds new features to show you the battery health. 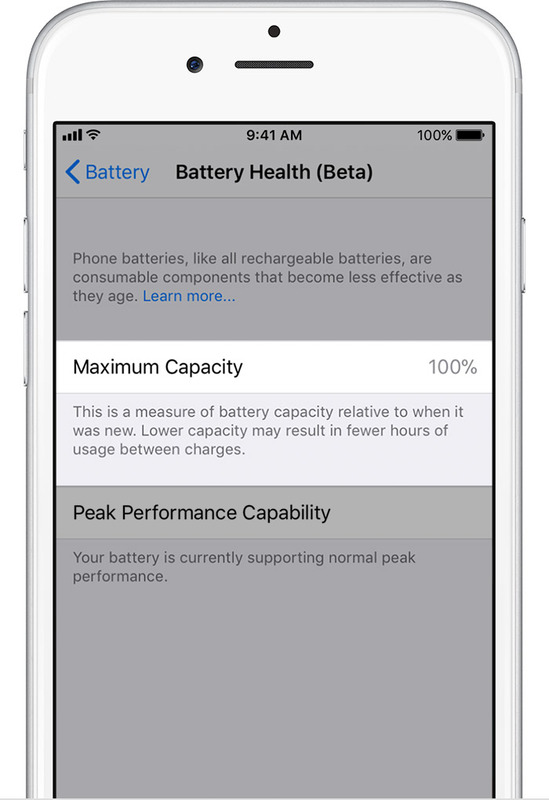 You can manage your performance according the the specific battery status of your iPhone and iPad. If your battery needs to be serviced, you will also receive the recommendation. Please note, the battery health is available for iPhone 6 and later. You can find it in "Settings > Battery > Battery Health (Beta)". By default when you update to iOS 11.4, the performance management feature that dynamically manages maximum performance to prevent unexpected shutdowns is off. But it will be automatically on if your iPhone subsequently experiences and unexpected shutdown. The Battery Health screen includes informations about maximum battery capacity and peak performance capability. Maximum capability measures the battery capacity relative to when it was new. It will start at 100% and will have lower capacity as battery chenically ages. A normal battery is designed to remain up to 80% of the original capability. You will get the notification if your battery should be replaced. It means, your battery condition is able to support normal peak performance and doesn't have the performance management features applied. It means the performance management features have been applied. Due to having an improperly installed battery or an unknown battery part, your iPhone can't determine the device battery health. You will see this message when you disable the applied performance management feature. But note that, this feature will be turned on when your device experiences another unexpected shutdown. It means, your battery health has degraded seriously. But it doesn't indicate a safety issue. The battery can still be used. When this mode is on, the inactive apps are updated in the background leading to a negative impact on the battery life. 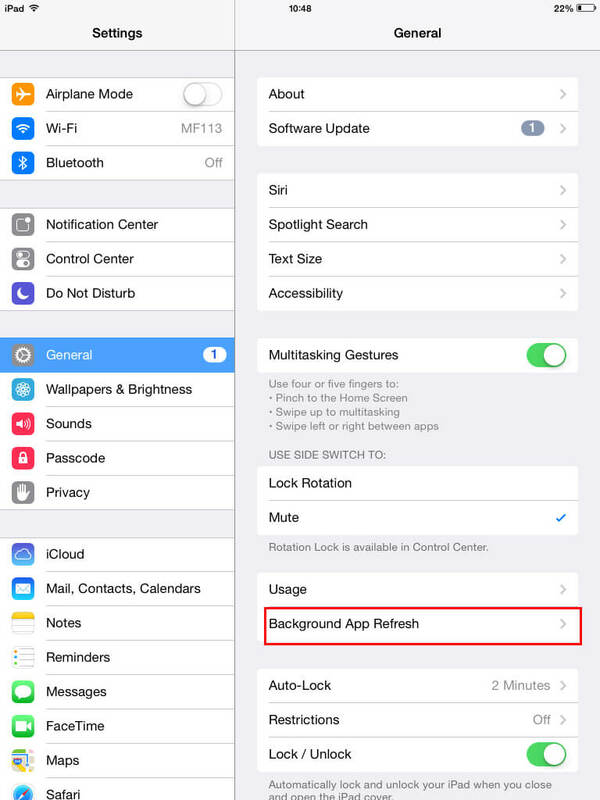 Disabling Background App Refresh helps reduce the iPhone battery dries too fast problem after upgrading to iOS 11.4. 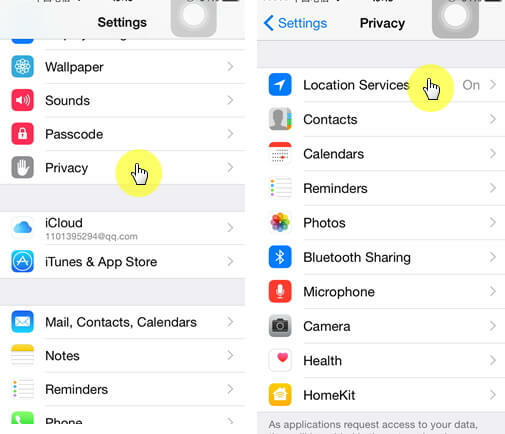 To deactivate this mode, go to Settings > General > Background App Refresh > toggle OFF. 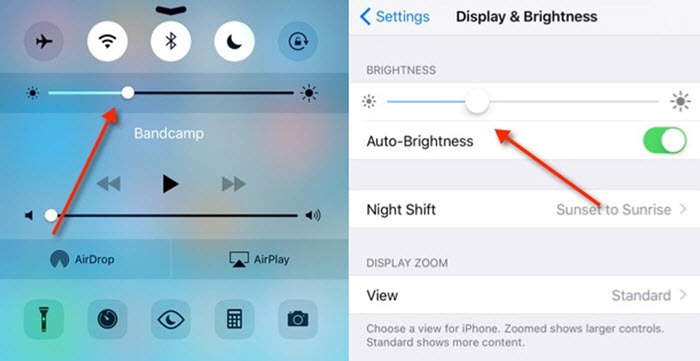 Maximum screen brightness requires a lot of energy, and this leads to draining of your battery life at a faster rate even after an upgrade to iOS 11.4. Some services when on, such as the GPS or the Raise to Wake Mode, significantly reduce the battery life even when your iPhone or iPad is not in use. Unnecessary apps use the GPS Services when on in iOS 11.4. On the other hand, Rise to Wake Mode when on keeps waking the screen when the phone detects slight movement, for instance, when one is walking or jogging. The low power mode helps save on energy and prolong the battery life by turning off some of the unnecessary features and disables background activity. This mode can assist in resolving the faster drying of battery after the iOS 11.4 upgrade. In some situations, you might try all the solutions above and still, and your battery still drains up. 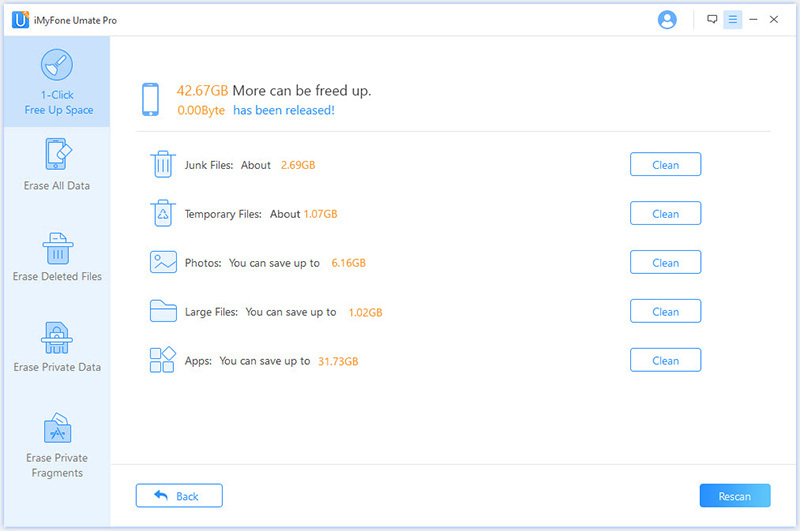 You can try simply clean all the junk files and corrupted files, which will stop useless data draining battery from the background and stop your iPhone from unexpected shutdown. 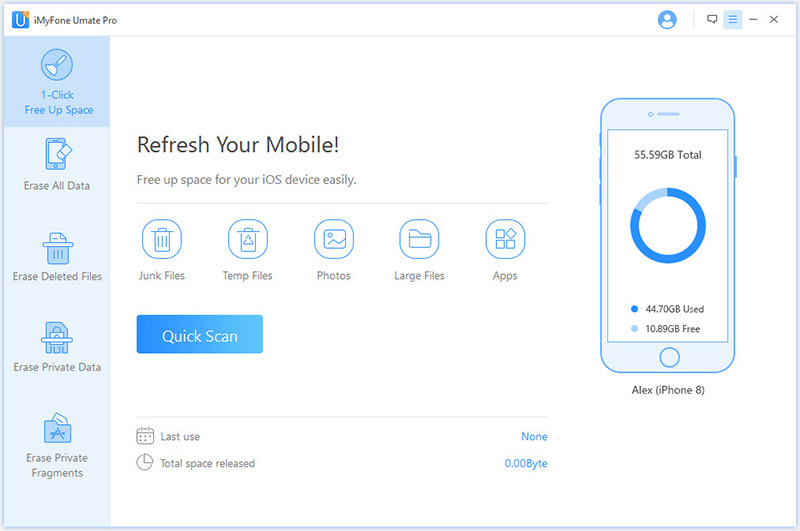 1-click cleanup mode allowing you to clean up hidden garbage and files that are still lurking on your iPhone or iPad making it run slower. Fully compatible with iOS 11.4 and receive lots of positive reviews from macworld.co.uk, Makeuseof.com , Cultofmac.com etc. Should I Upgrade to iOS 11.4? Yes, you should upgrade to iOS 11.4 if your iPhone or iPad was in iOS 11 and later. You may know that the early iOS 11.1.2 has serious issues, and the iOS 11.2 was released in advance to solve the bugs. Users were forced to upgrade to iOS 11.2. But actually, though iOS 11.2 has solved iOS 11.1.2 bugs but it still had very poor performance. So if you have already updated to any iOS 11 version, you'd best upgrade to iOS 11.4 for better performance. However, the answer is NO if your iOS version is earlier than iOS 11. You'd best not upgrade to iOS 11.4 because your battery will drain very fast. If there is no big issues with your current iOS version, you can just keep it and wait for a perfect iOS update in the future.